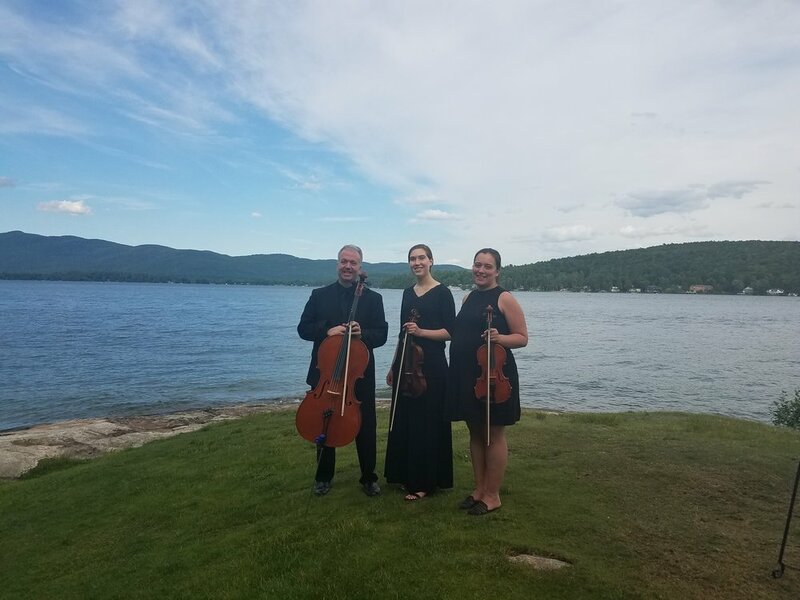 This past weekend, we had the opportunity to jump in at the last minute to provide ceremony music for a beautiful wedding on Lake George in Lake George, NY! It was a beautiful sunny day on the lake and perfect weather for a wedding! Traffic was a bit dicey traveling into the area as a motorcycle event was happening the very same weekend, so we all aimed to arrive early to avoid traffic and enjoy the weather on the lake. I drove out with my husband and we enjoyed a wonderful lake view lunch at The Boathouse Restaurant just down the road. The music selections for the wedding were a great mix of classical and pop tunes and we had a great time in our run through of the music in rehearsal before the wedding. Thank you to Pro Arts Management & Consulting for bringing us in! We were thankful that Will Hayes and Esther Witherell were able to join us at such late notice and I had a blast playing with them! I look forward to heading out to Lake George for future events!